We also do rentals. Contact us for prices. 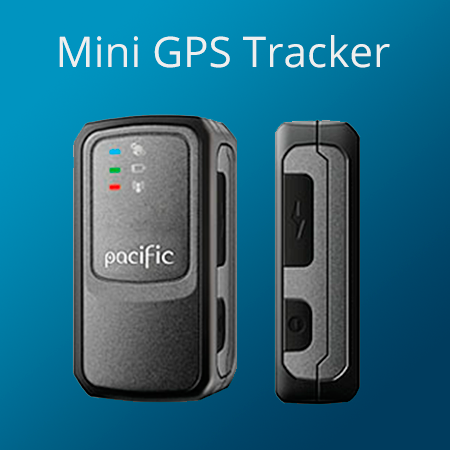 The Pacific GL200 is an easy to use mobile Mini GPS property Tracker and protector. Due to its small size(approximate size of a box of matches), weight and waterproof casing the Pacific can be used for any mobile asset that needs tracking. Used with the magnetized container it is easily deployed as a covert GPS tracker by simply attaching the unit to the underside of any vehicle. The GL200 primarily transmits its location information to the Web Monitor Platform service using GPRS but can fall back on text messaging when in areas of poor GPRS coverage. As the GL200 is a GSM quad band device, it will operate in most parts of the world. Fixed Time Reporting By setting the service start/end time and tracking interval (cycles) the GL200 automatically reports its position to the Web Monitor Platform. Flexible Time Reporting Select track and report times and settings from one minute to an hour. Remotely Controlled Remotely control all settings from your Web Monitor Platform. Non-movement sensor If the GL200 stays in one place without moving fixed time reporting is automatically disabled to reduce the use of GPRS or text messages extending the life of the battery and charging intervals. Geo-fencing Create and modify 5 in-and- out zone Safety Zones and alerts. Reports Full record of movements is kept on the Web Monitoring Platform. Full reports can be printed any various formats. Speed Sensor Sends out alert information when activated and speed threshold is met. Power Status Sends alert information when the GL200 is switched on or off and when the battery power is low. Long Battery Life With good report time management via the Web Monitoring Platform the battery can last between three to eight days. Optional Long-Life Battery Pack The Optional Battery Pack can extend the battery life – and therefore the report period – for up to three weeks. Covert Use Because of it’s small size and mobility the GL200 is excellent for cover operations. Over the air command settings from the Oysta Technology server using the Oysta Technology proprietary protocal. Kindly email your proof of payment to sales@foxforensics.co.za or fax to 086-548-2014. Please make sure that your email address and the Make and Model of the phone is clearly indicated on your Proof Of Payment.